First, generate an Advanced Search or a People View to bring up a list of people. 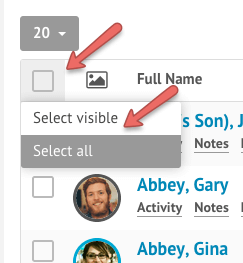 Select the people you would like to mass manage by ticking the box next to their name. You can select everyone by ticking the box at the top right corner of the table, or by ticking the box to individual rows. The Mass Manage area will show if one or more boxes are ticked. 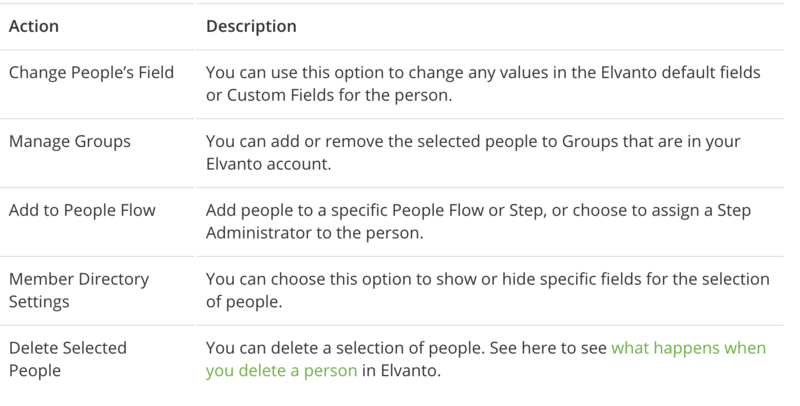 Alternatively, select one of the existing People Views available in this box. 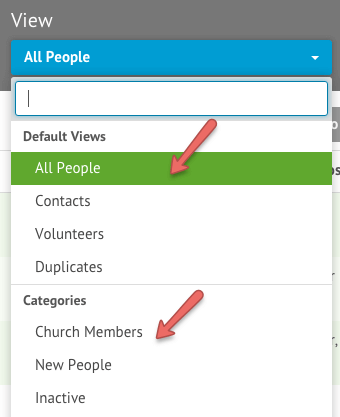 Under People Views, you have the ability to choose default views, people categories, saved People Views or by groups. Simply select one of these and people should be listed on the page. If the results go over 1 page, you have the option to select all people, even if they aren’t visible on the first page. Next, scroll to the bottom of the page and you will see an area marked as ‘Mass Manage’. Click on drop down menu and select what you would like to mass manage. You can delete a selection of people. See here to see what happens when you delete a person in Tithe.ly ChMS. You can perform multiple actions at once, simply select the button.